Randa, the world’s leading men’s accessories company, is moving its United Kingdom and Yangzhou, China offices into new, larger locations in support of business growth. Randa’s London office, headquarters for the company’s UK business in neckwear, belts, wallets, and luggage, has moved into a 4,000 square foot space in Central London’s Capital House. The expanded London presence follows 2015 revenue increases of 15% in neckwear and belts and a 30% increase in luggage. Randa’s global expansion continues with its new 60% larger Yangzhou, China office, one of six Randa facilities in China. The new office responsible for Randa’s seasonal footwear production provides for a better-located, technologically advanced space that maximizes increased efficiency, faster prototyping, enhanced sample presentations, and growing archives. 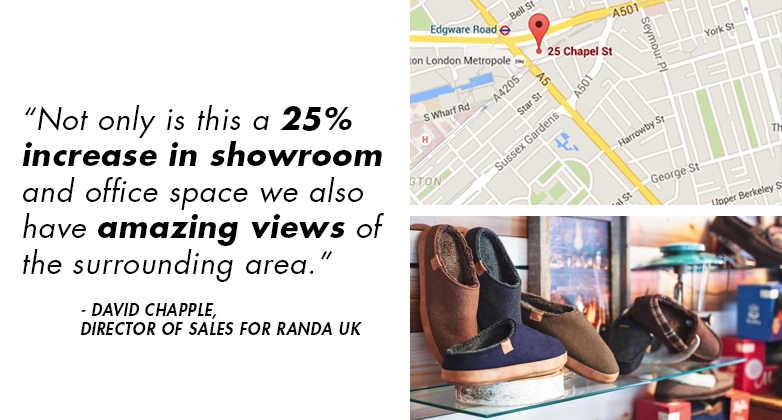 Randa’s Seasonal Footwear business has climbed by 300% since launching in 2012.